Beekeepers first began losing their hives in 2006, according to the U.S. Department of Agriculture. Between 2007 and 2013, more than 10 million bee hives have died off in North America. With beekeepers facing significant financial losses and the crop pollination we depend on for food being threatened by the declining bee numbers, scientists studied the problem and identified a complex culprit called Colony Collapse Disorder (CCD). Scientists have identified several possible factors, including agricultural chemicals, diseases, parasites and stress. The most recent evidence suggests a combination of these factors may be the cause of CCD. Colony Collapse Disorder can be identified easily in hives because of its unique symptoms. First, the hive is abandoned by nearly all of the adult bees. Usually, only a living queen is left behind in the hive. However, no dead bodies of bees are found in or around the hive. This bee disappearance can occur in just a few weeks time. 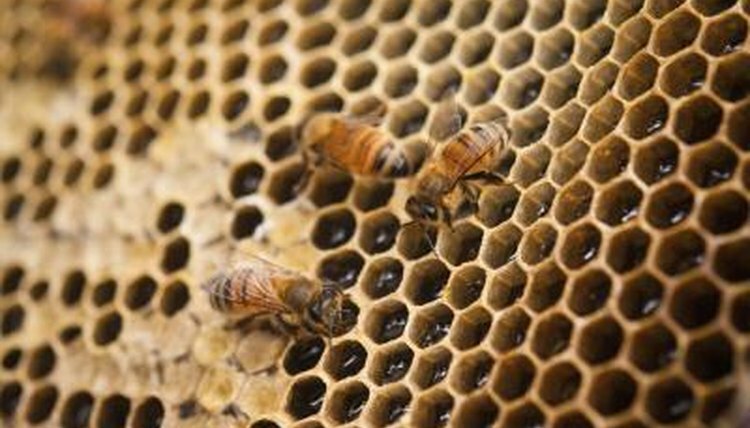 Although the cause of the bee loss has been labeled, researchers are still unclear what causes Colony Collapse Disorder. Scientists have identified several possible factors, including pesticides, diseases, parasites, environmental issues and management stress. Pesticides known as neonicotinoids were banned in Europe because of their possible link to CCD. Researchers believe the chemical interferes with the bee’s memory and sensory abilities, making them unable to look for food. A 2013 study led by Jeffrey S. Petitis from the USDA's bee research laboratory published in the Public Library of Science (PLOS) found that honey bees that consumed certain types of fungicides, such as those used in apple orchards, were more likely to become infected by a pathogen that some researchers think causes CCD. In the mid-1990s, parasites posed a threat to the domestic North American bee population with tracheal mite infestations causing some beekeepers to lose up to 85 percent of their colonies, according to PBS’s Wild TV. More recently, researchers have also found Varroa mites in colonies affected by CCD. Both tracheal and Varroa mites attach themselves to the insides of the bees’ bodies and consume the insect's blood until the bee dies. Even though mites have been linked to affected hives, scientists don't know if the mites cause CCD or merely transmit the cause of the disorder. A number of bee diseases have been considered as the cause of CCD. The 2013 study conducted by Jeffrey Petitis and funded by the USDA and the Honey Bee Board may show a link between commonly used fungicides and an increased risk of Nosema infection among bees. Nosema ceranae is a pathogen that gets inside the bee’s gut. According to Advanced Science, this disease has been shown to destroy bee colonies on its own without evidence of CCD. Additionally, Nosema ceranae has been found in hives killed off by CCD. Interestingly, some studies also indicate that the Nosema ceranae infection can suppress a bee’s immune system, making him more susceptible to agricultural chemicals and parasites. Both environmental and management conditions can cause stress on the honey bees which may be connected to CCD, according to the USDA. Environmental stress may stem from pollution, scarcity of pollen and exposure to lethal amounts of pesticides. In the 2013 study of bees and pollen, the researchers found at least one sample containing lethal levels of pesticides. On the other hand, management conditions that can cause bee stress include the transportation of the bees for commercial pollination and overcrowded bee yards.